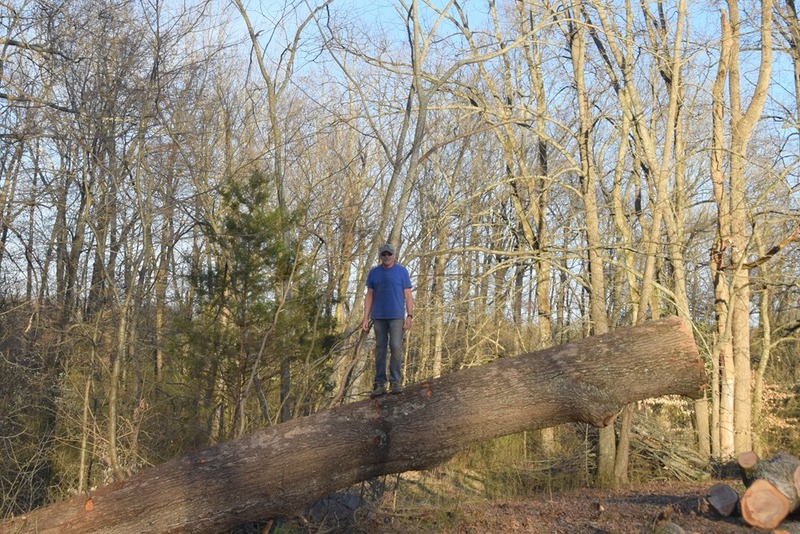 Worked with a friend today cutting logs from this fallen oak tree. 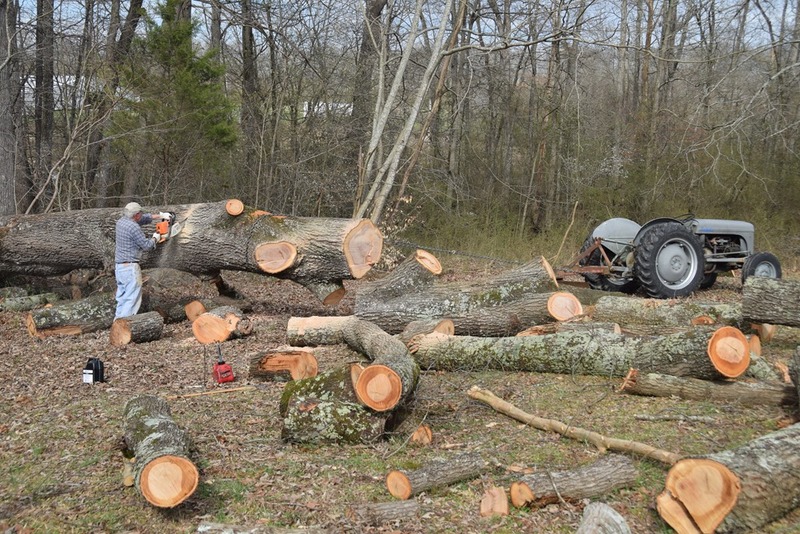 A portable sawmill will come on site and saw into lumber. Two more cuts (one about where I’m standing) and we’re ready. My friend Joe is one of the best guys around…very hard worker too, he cut up most of this by himself. A good way to burn off some energy and clear the mind from things that bug you.